Consistency, durability and dominance characterized the career of Eddie Murray. 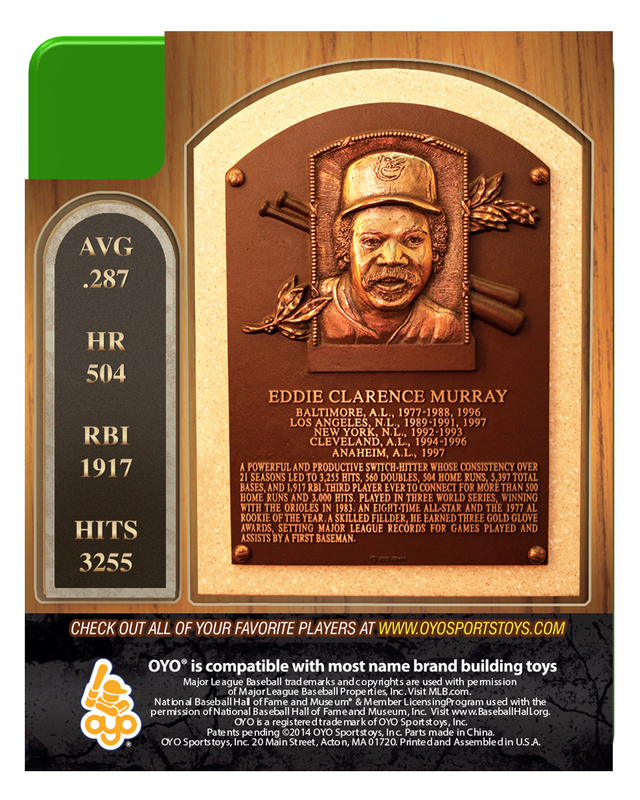 One of baseball's most productive hitters from the late 1970s through the '90s, when he retired Murray was only the third player to have collected both 3,000 hits and 500 home runs. The all-time career RBIs leader among switch-hitters, the three-time Gold Glove Award winner at first base was an eight-time All-Star and had six consecutive top-10 finishes in voting for the Most Valuable Player Award. 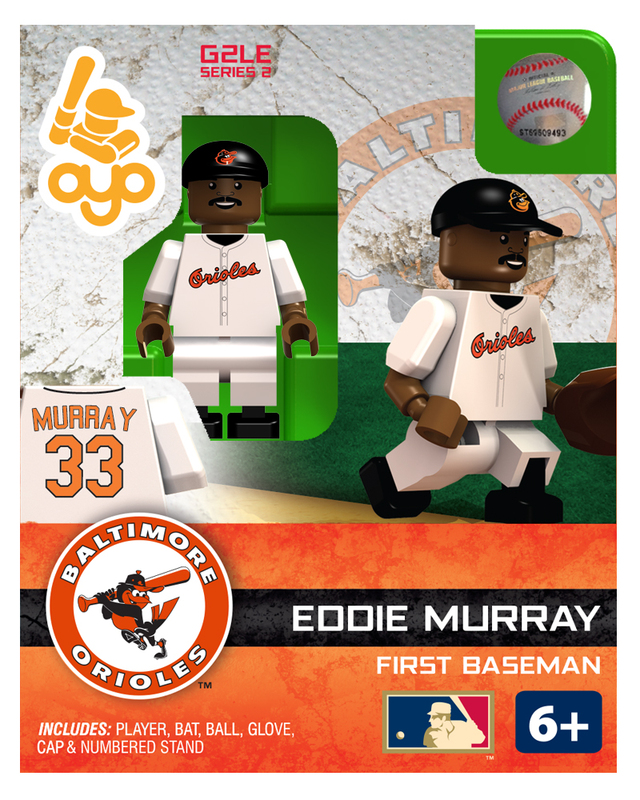 Murray was a stalwart at first base for 12 seasons for the Orioles, capturing a world championship with Baltimore in 1983. 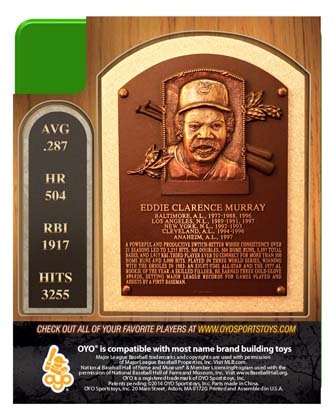 Hall of Fame Packaging includes players HOF plaque on the back. 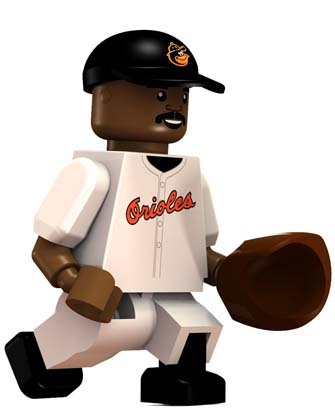 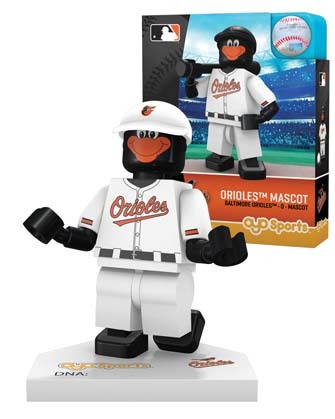 Each figure comes with a team cap, bat, glove, ball, stand, and unique OYO¨ DNA number.